For our 13th creative challenge, we set forth into the very heart of danger looking for a mysterious space. The challenge is to photograph said space, create a story of what it is, or why it is the way it is, and of course, share it with us. Here’s mine. 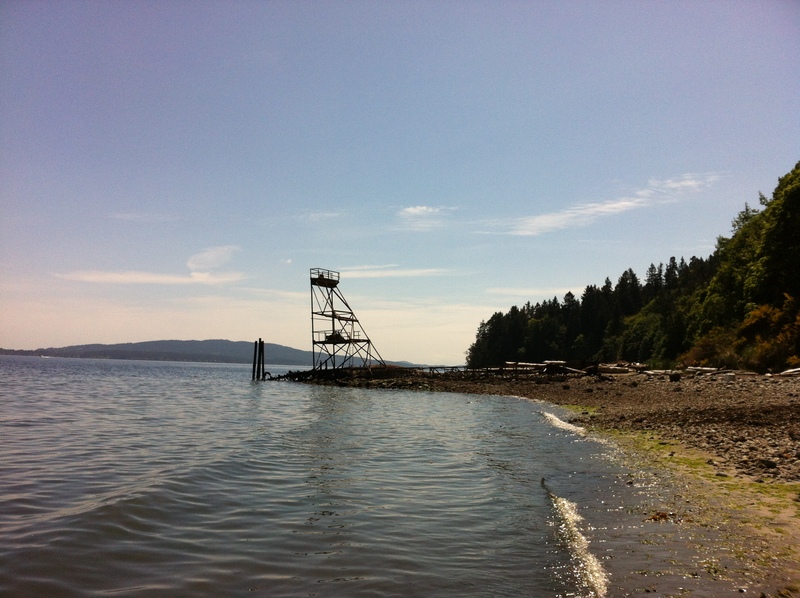 Along the beautiful eastern coast of Vancouver Island, near Cherry Point, stands a bizarre looking structure, on the edge of a sandy and well forested shore line. As my friend and I scuttled passed in his 15.5 foot motor boat, the space called out to be explored, so we went ashore and snapped these photos. I believe it’s an old, derelict lumber camp. The pulley system in the odd structure would have been used to pull logs down to hungry barges, and the ungraceful breakwater might have been setup to protect waiting logs from being carried out to sea by the tide and waves.